The Deal: If you’re eagerly awaiting the arrival of the newest season of “Orange Is the New Black” in June, Improv Boston Theatre is offering a pretty good distraction. 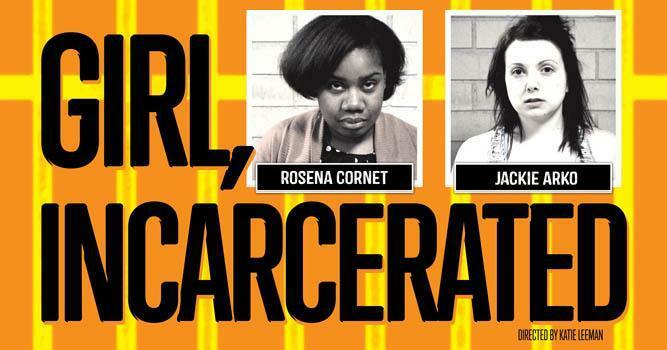 The improvisational comedy troupe puts on a new installment of “Girl, Incarcerated” every Friday at its theater in Cambridge. Join the ladies of Galcatraz, an all-women’s minimum-security prison, for the inside scoop of the power struggle, backstabbing, friendships, and dirty secrets that go on behind prison walls. “One thing that makes the show very cool is that it’s an immersive experience,” said Mac Gostow, the associate producer for Improv Boston. “From the second the audience walks into our theater, they’re met by security guards, and the lighting and music reflect the prison experience.” Get ready for fast-paced storytelling, shenanigans, and all the twists and turns that go along with lines made up on the fly. Each week brings a diverse cast of Boston’s best comedians, so even if you’ve seen the show before, you’re in for something new each time. The Dress: Dress is casual, but feel free to don an orange jumpsuit in the spirit of the show. Careful, because while you may blend in with the inmates on stage, you may stand out on the red line. Orange not your color? Stripes work, too — horizontal only, of course. The Tip: Make the night a girls’ night. “This week is the Women in Comedy week, so this show fits nicely with the theme. Improv Boston is celebrating female comedians, as well as equality in comedy,” Gostow said.